This layout is inspired by the diamonds challenge at The Studio Challenges! I have been having fun playing around making cut files with my silhouette and I love how these diamonds add to this page! I never use diamonds, so it was a super fun challenge! 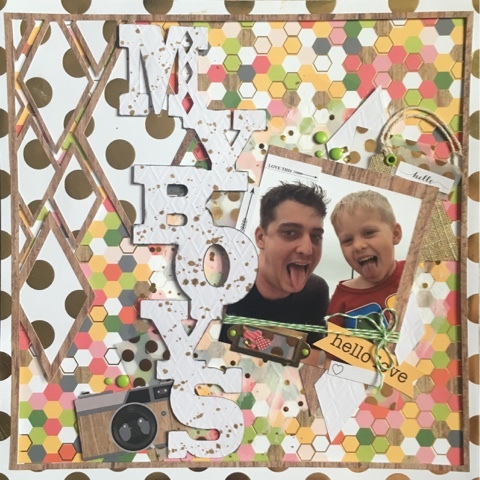 Diamonds, circles and hexagons - how fabulous is that - this really makes for an eye-catching layout. What a creative take on our challenge! Totally love that hexagon paper! Thanks so much for playing along with us in The Studio!